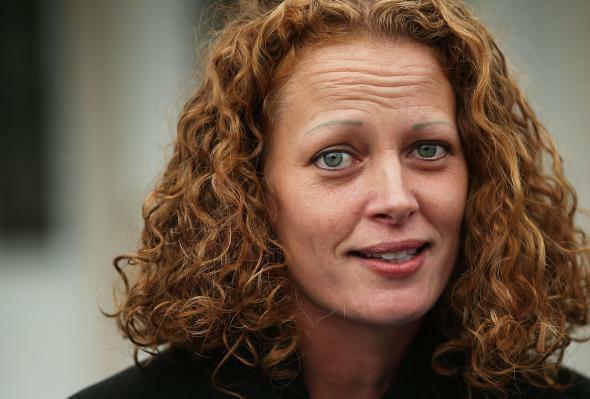 Nurse Kaci Hickox sues Christie for New Jersey Ebola quarantine. Kaci Hickox gives a statement to the media in front of her home in Oct. 2014. The health worker who made headlines for strenuously objecting to being quarantined when returning from treating patients in Sierra Leone last year, filed a federal civil rights lawsuit on Thursday alleging that she was unlawfully detained and denied due process by being kept in isolation. Kaci Hickox was quarantined during the height of the Ebola scare a year ago when she landed at Newark airport and was subjected to a mandatory quarantine. New Jersey officials said Hickox showed a fever, a symptom of the virus, which Hickox disputes. The 34-year-old was held in an isolation tent for three days before being released, she says even after she tested negative for Ebola. The suit is seeking $250,000 in damages, a relatively small sum in case of this nature, as well as a change to the state’s quarantine policy. “While the federal government issued standards with how volunteer doctors should be monitored upon return, New Jersey and New York jointly issued more stringent guidelines that included an involuntary 21-day quarantine period for medical workers,” the Wall Street Journal reports.